UPDATE: LOUIS REUNITED 🐾❤️🐾. This is an ongoing investigation. Thank you for your help. 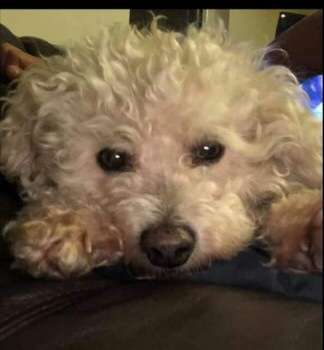 A dog rescuer has been left heartbroken after her own pet was stolen in a burglary in a small East Yorkshire village. 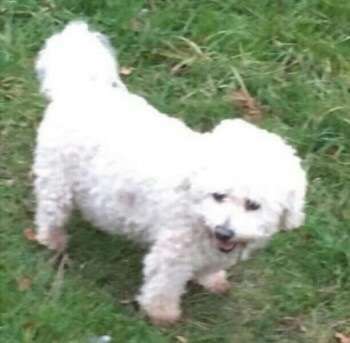 Eleven-year-old Bichon Frise, Louis, was gone when Beverley Wilson returned to her lodge in Newton upon Derwent, between York and Pocklington, on Tuesday afternoon. Louis, who has health problems including eczema, was wearing a dark brown leather collar before he disappeared. A distinguishing mark is a small scab on his head relating to his eczema. He has been castrated and is fitted with a microchip. Volunteer dog rescuer Ms Wilson, 57, recently moved to the area from Rawdon, Leeds, and had returned home to find a French door window in a bedroom had been shattered and no sign of Louis. A day earlier, she was visited by an unknown woman who said she was interested in living nearby. A spokesman for Humberside Police confirmed the burglary was being investigated and asked for anyone with information to call the force via 101.